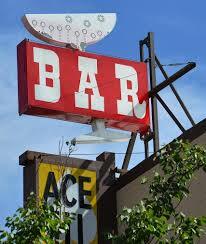 Colorado's Ace Hi Tavern has been an institution in downtown Golden for generations. Part of it's comfortable atmosphere can be attributed to its incredibly diverse clientele. From the School of Mines students, to employees of nearby Coors Brewery, to locals looking to let their hair down after a long day at work or play, Ace Hi continues to welcome all through its doors. LoyalTee Ace Hi Tavern T-shirt printed exclusively on American Apparel tees and available in black or cranberry. Sustainably Produced in the USA.